We stayed in the apartment on the 5th floor which was absolutely perfect. The room is super clean, comfortable, and spacious. The kitchenette was a lovely addition and would be 10/10 if there was a hob for cooking something. The hostel has a nice feel, happy hour beers, very friendly and helpful staff, and free breakfast is just toast/jam/coffee but welcome all the same. Only tiny negative is they have no lift and it is a bit of a climb to the 5th floor! It was amazing to stay at such a lovely hostel which it s Nau here hostel in Bali. I stayed there for couple of nights, and really glad to found that place in Bali. Staffs were so friendly and nice. I really really loved that place. Price is super afordable, and location at Kuta Central Park, which is you dont have to worry if you looking for food until 3 am and minimarket. near to Kuta and Legian. Staff are helpful, when we need motorbike to rent they provide it with reasonable price too. i do really enjoy my night at dormitory room. I stayed in this hostel on my last night of my 8 days trip. the hostel was just above my expectation. 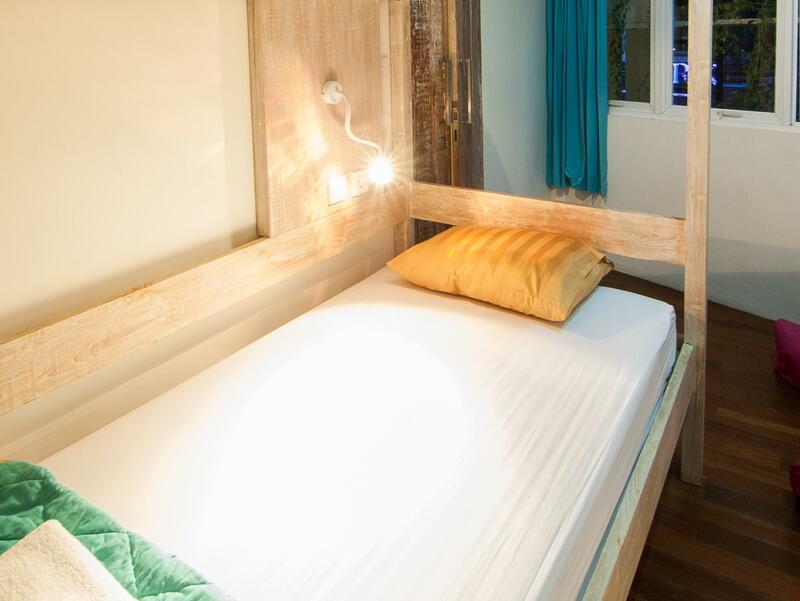 the room is cozy and clean, the staff are very helpfull, the shower room are nice. they also give you double locker so I have enough place for my big backpack and stuff. 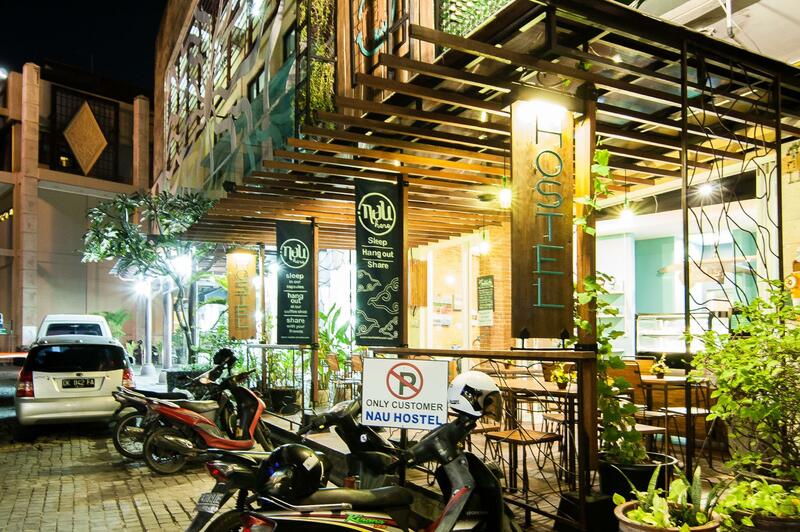 Actually the hostel is located just in front of Kuta Central Park Hotel. 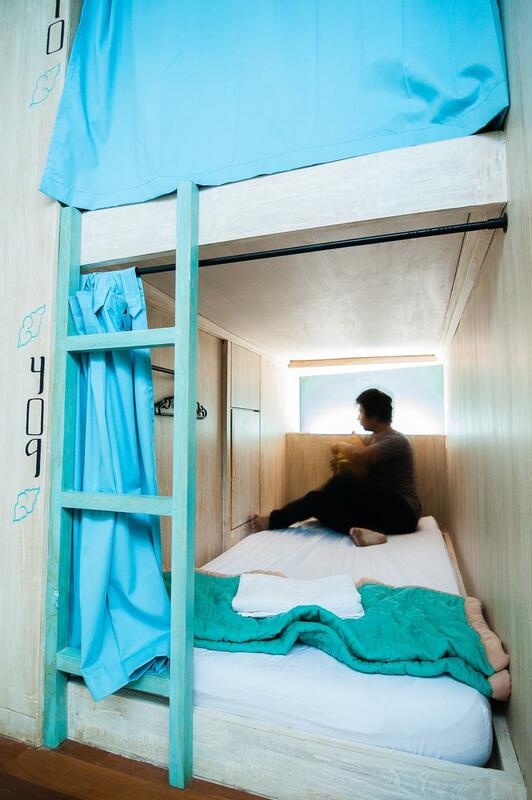 I'm a single traveler, so I just need to stay at capsule dorm room. I stayed at the fourth floor with some people and It wasn't a bad idea. I just need to be silent when I arrive cause some people already slept. In the morning, I got a simple breakfast with bread and fruits. The hotel located not that far from Kuta beach, but maybe you need scooter or car to go to the beach. But in the night you will not hear any music from club cause you didn't stay at poppies :D So, last word if you are going to Denpasar or north kuta or seminyak but you still want to stay in Kuta, this place could be one of your options. Bye ! It feels like home here. You can stay on the sofa watching cable TV and using the laptop. They offer free water, free soap and shampoo. 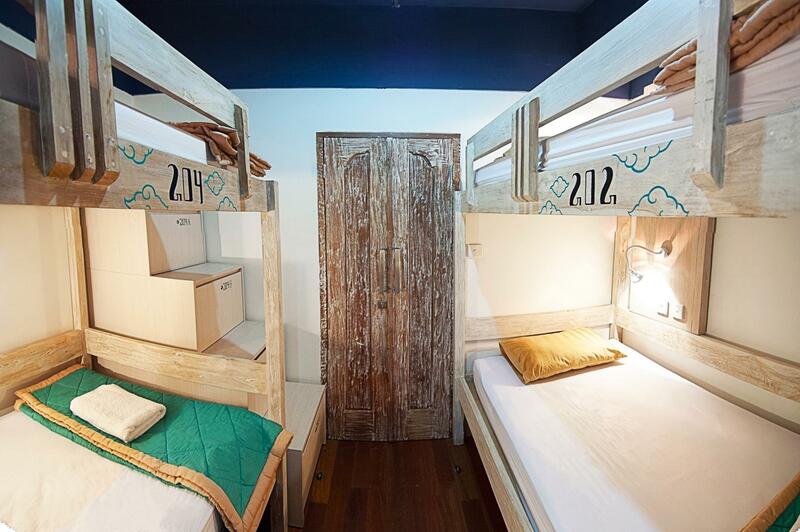 The 14 beds dorm has 3 restrooms. The breakfast is simple but good. Air conditioned 24 hours. Nau Here Hostel helped me when I was desperately looking for an emergency cheap place to stay. At first I hesitated with the cleanliness and security but this place is very good in fact. Such a perfect place to stay! 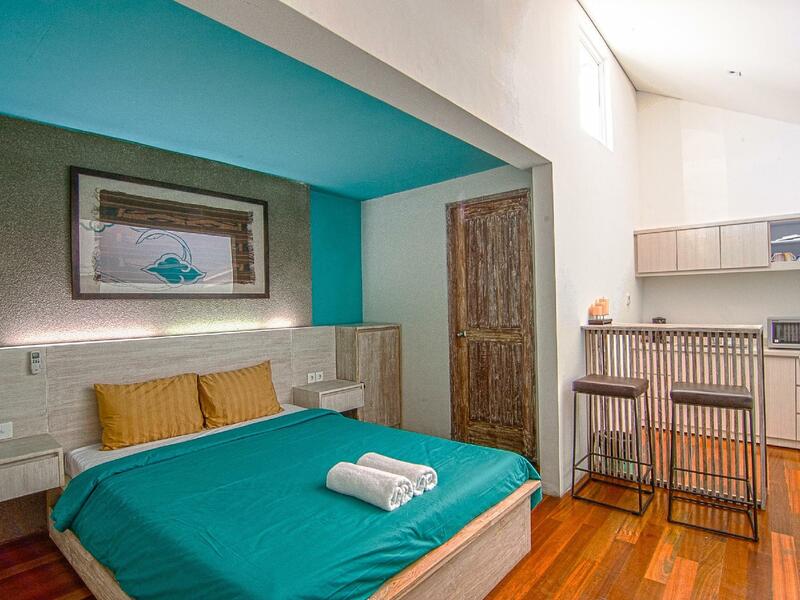 Perfect location, only 10 minute walk from legian street. Warm helpful people working there made it feel like a nice home. Bathroom and room kept clean everyday. The huge shower heads were my favorite things! Value of money, and the staff here is very friendly, they trying to help you as much as they can. And the room is very clean, I love it. Overall is very good!! Nau here is definitely my home in Bali, the staff here is very friendly. Also in here I made a few life long friends! Definitely value of money! The big mix dorm is pretty cool, the delight of the hostel!! Will come back again!! The staff are very friendly. Feel free to ask them for directions on the places of interest. They would print a map for you. Should you need anything, like scooters/bike, towels, or foo, you can always ask the receptionist. They would help you out. There have a friendly manager that wouldn't mind to show you around town after his work. Many fellow friendly backpackers that stayed there as well. Worthy for the money for the facilities that you get. This is actually an expensive area. There are few 4 star hotels in the premise. When I checked in only 3 guests were staying due to a low season. Almost everyone got a single room and it was nice. The bf was simple with dragon fruit. The only problem was the it is quite risky to walk around at night as the traffice is so crazy. I almost got hit onece. Also, it takes 30 min to walk to theKuta beach. + Decor (brand new and exciting) + Friendly staff. Very bubbly + Location ( 15 minute slow walk to Kuta/Legian beach. Away from the crass and noise of kuta really) + Near a HALAL restaurant. 2-3 minutes walk away. Good for Muslim travellers. Negatives - Mozzies. The mosquitoes were incessant and ruins your sleep really. Need to do something about it. - Air con wasnt really strong in the mixed dorm (capsule beds). If you closed your individual bed you might feel slightly warm. In general a really good place to hang out. Especially if there are other travellers too. However, the mosquitoes ruined the experience a bit. Had to buy those mosquito repellant thingy. If this problem and problem alone was rectified this place would be a perfect place to stay at in Kuta.